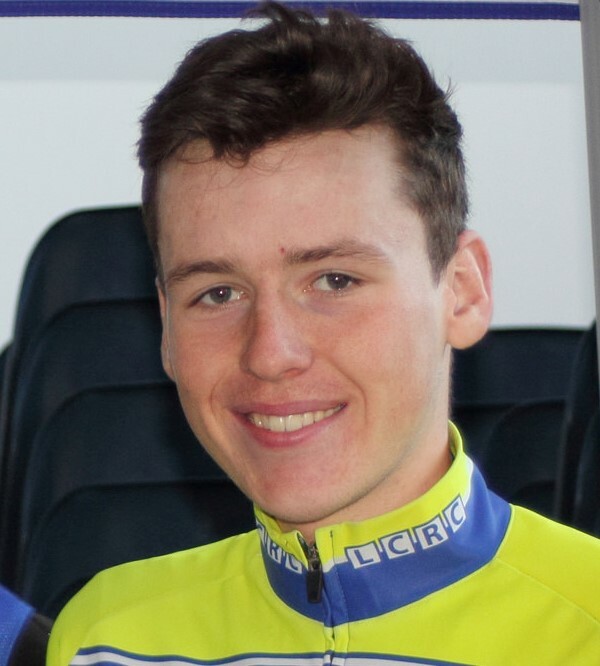 Eoghan McLaughlin of the NRPT outfit took the first yellow jersey of the 27th promotion of Rás Dhun na nGall in an exciting sprint finish. McLaughlin was one of an eight man break which at one stage gained almost thirty seconds on the chasers. The hard working crew at West Down were out in force today when they promoted their West Down GP. The races took place around the lumpy Katesbridge course. The Masters race provided a comeback venue for Chris McCann of Phoenix CC. 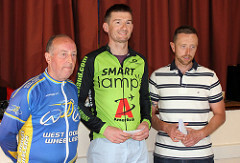 Part of the McCann cycling dynasty which includes patriarch Cormac, and sons Cormac and David, Chris has not raced since his appearance in the Rás in 1989. Today he proved he could still compete when he took second place n the Masters race. John Archibald continued to dominate the 2017 Tour of the North when he took the time trial stage this morning with a time of 10m 16.27s which was over 30 seconds faster than David Watson of The Bike House CC. Ed Clemens of Tifosi RT was third. 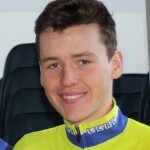 Darnell Moore of Caldwell Cycles and Xeno Young riding for the Ireland Junior team were best of the local riders. BMX Ulster would like to inform all Ulster BMX Clubs, of the plan to create a BMX Ulster race Team for 2017 (subject to available budgets from Cycling Ulster). Couch to 90km 'C290K" with Kings Moss Cycling Club this spring! Following a very successful 2016, when the club's membership soared, Kings Moss Cycling Club "Sponsored by Chain Reaction Cycles" are pleased to offer an introduction to cycling scheme. A scheme based on the concept that has taken the running scene by storm. At the Union European Cycling (UEC) Congress held in Brussels (Belgium) on Sunday which was attended by all the 50 European National Federations, Cycling Ireland’s Honorary Secretary Jack Watson was awarded one of the five UEC Merit awards which were presented at the Congress for his contribution to cycling in Ireland and Europe. Jack was born into a cycling family as his father was a well-respected cycling administrator for over 50 years. Jack competed in races from 1954 until 1968. Some three years of this period was spent racing in England for Coalville Wheelers in Leicestershire. Cycling Ireland will be running a photo-finish operators training course on the weekend of the Stamullen GP 8th & 9th April. On Saturday 8th April in the City North Hotel off the M1 Balbriggan we will run a course which will focus on setting up the equipment and understanding the software, as well as training in the basics of photography and adapting the camera to various conditions.